When dogs get older, there are a variety of ailments that can affect their health. 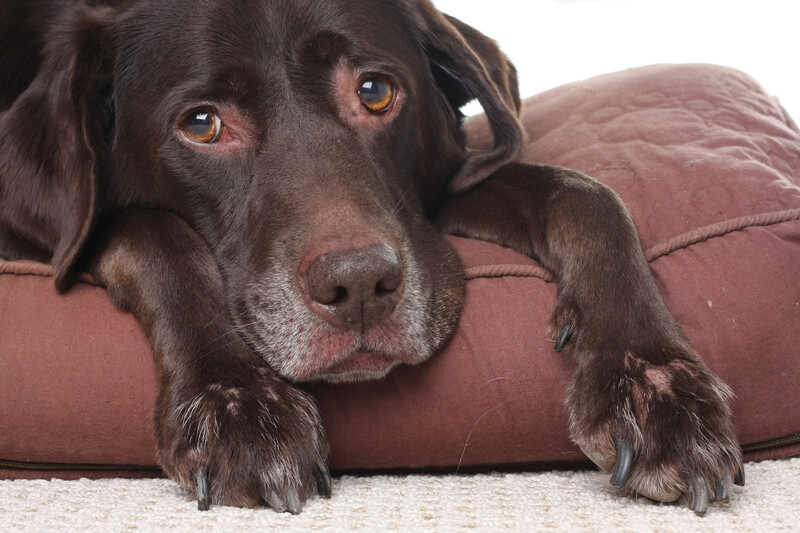 One of the most common problems of aging that dogs have is arthritis. Canine arthritis is a debilitating and painful disease which can affect the comfort, lifestyle and emotional well-being of your dog. Arthritis is a painful disease that can cause your dog stiffness and pain. A dog with arthritis can restrict his typical activities. For example, he may be less inclined to jump into the car or climb stairs easily. He may stop playing and may have a decrease in appetite or a depressed attitude. 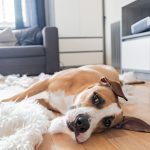 Fortunately, a cure for arthritis in your dog does not have to be difficult; there are numerous ways to naturally treat your dog’s arthritis, allowing your pet to enjoy a better quality of life for a longer period. Nutrition is key to promoting healthy joints and muscles – as well as maintaining the integrity of the entire musculoskeletal system. Choosing a good quality diet is important. Avoid low-end brands; they are cheaper to buy, but they are poor in nutrients assimilable. If you own a large breed dog, it is essential that you carefully monitor its diet while it is still growing. Choose food that is designed specifically for large breed puppies. These diets are designed to slow down growth and reduce stress on the joints. Omega 3, an essential fatty acid, has proven to be very beneficial for pets with joint problems. Omega 3 helps effectively reduce inflammation, swelling, and pain. Also, these essential fatty acids are also helpful for the brain, behavior, skin, kidneys and other organs. We recommend that you supplement the diet of animals suffering from arthritis with omega 3. An excellent source is fish oil. 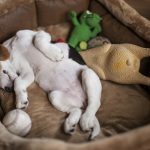 Also, if you enhance the diet of your pet with omega 3, it is important to add a vitamin E supplement, because the metabolism of this fatty acid requires an increased amount of vitamin E.
Vitamin C is particularly useful in stimulating the immune system, as well as possessing strong antioxidant properties. For animals suffering from arthritis, vitamin C helps in the synthesis of collagen, which is the basic material of cartilage, tendons and connective tissue. We recommend adding vitamin C to your dog’s diet. To find the optimal dose for your dog, increase gradually until the stool becomes soft. Then return to the previous dose; this does become the maximum dose for this dog. Since each dog is different, it will be necessary to carry out this test with each dog of the household. Medicinal plants will greatly help promote joint health and mobility, as well as keeping your pet active as it should. The medicinal herbs proposed here below have been considered mainly for their anti-inflammatory, pain-relieving and depurative properties. Medicinal plants, on the other hand, are necessary to regenerate the damage done to the joints and to prevent its deterioration. Garlic strengthens the immune system and stimulates the growth of healthy cells. Fresh chopped garlic can be fed to dogs who are overweight and who suffer from joint pain. Devil’s Claw is an anti-inflammatory and effective pain reliever for treating arthritis and rheumatism in dogs and cats. The anti-inflammatory effect of this culinary spice is comparable to that of cortisone, without causing the same harmful effects! Turmeric is effective in treating arthritis, and it can be safely fed by dotting it on your pet’s food as a dietary supplement. Liquorice root is another herb with anti-inflammatory properties that are similar in effect to cortisone. (One of the main constituents of this plant is a chemical structure similar to that of natural corticosteroids). Liquorice can reduce joint swelling caused by arthritis. Alfalfa has been found to be very effective in the treatment of arthritis in pets. Also, it alkalizes and detoxifies the body. Moderate exercise is one among the best treatments for canine arthritis. Remember that the exercise routine should be gentle and not include strenuous activities. Exercise will help reduce this dog’s health problem and maintain weight. It will naturally strengthen muscles and joints. Remember, daily exercise is important, and exercise at the end of the week can prevent joint problems. You can give your dog some exercises like walking, swimming, and slow running leash. Short daily exercise session will be helpful for dogs. A veterinarian can also suggest the exercise program according to your dog’s size, weight, and arthritis problem level. You may be aware that arthritis remedies in humans include a comfortable bed. Same is the case with dogs. Arthritis treatment with natural remedies for dogs includes a comfortable bed and warm dog shelter. You can opt for a baby’s old sofa with mattress. You can keep the dog’s sleeping place at the height of one foot above the ground, for that, they are comfortable when getting up and down. Arthritis can worsen in cold weather. So, it is of utmost importance that your dog stays in the heat. You can add a sweater well on your dog’s clothes for the cold hours to keep him warm. This will help keep joints warmer. If your dog shows symptoms of arthritis, you could make some simple changes around the house to make your pet’s life easier. Install a ramp to help your pet climb the stairs or on the sofa. 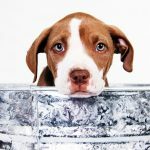 Elevate food and water bowls to make it easier for your dog to have aches and stiffness in his neck and forefeet. Keep your pet warm: arthritic animals tend to get colder; in cold weather, give him a coat or cover him with a blanket. Apply heat to aching joints, using a bottle filled with hot (not burning!) Water or a towel dipped in hot water, for 15 minutes, twice a day, especially in the morning. For the dog, you can give him a bath of mineral salts or oats; this will help him relieve the pain. Massage the muscles near sore joints with circular motions and gentle pressure with fingers or palms for about 10 minutes. Go carefully at first to initiate him and not to hurt him. In conclusion, there are great products and possibilities as regards treating dogs with arthritis naturally. Most of these have been highlighted above, and for more help in this regard, HellowDog is here to help. HellowDog is the best place for all dog owners to come to interact with more dog lovers. 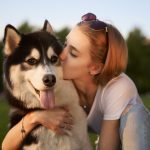 This also stands as a great destination to find unbiased, genuine reviews of different dog products online.